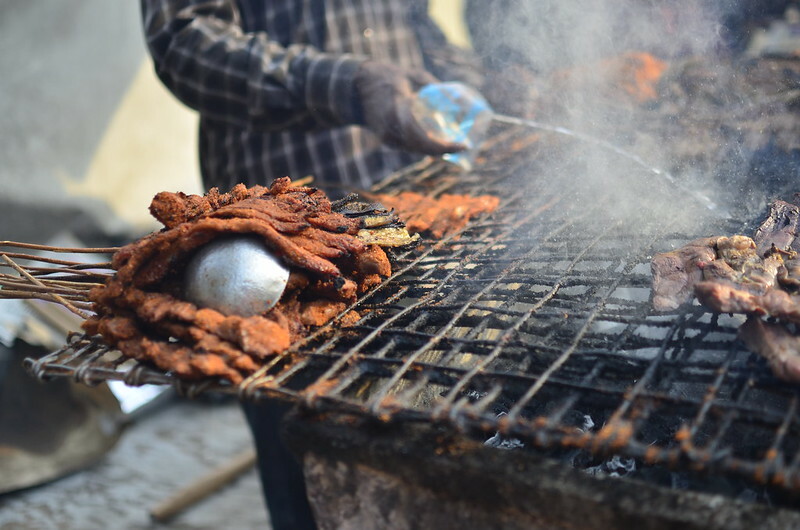 It was one day last June, July when I discovered Glover Court suya in Ikoyi – Lagos, Nigeria. I missed suya. I missed the flame-grilled, peanut-spiced sticks of meat that are perfect for 5pm on a Friday. I wish I could say 4pm but that’s one hour when I’m still at my desk. I can’t remember who recommended Glover Court but I adjusted my journey plans that evening to stop by. I’ve been back three or four times since. 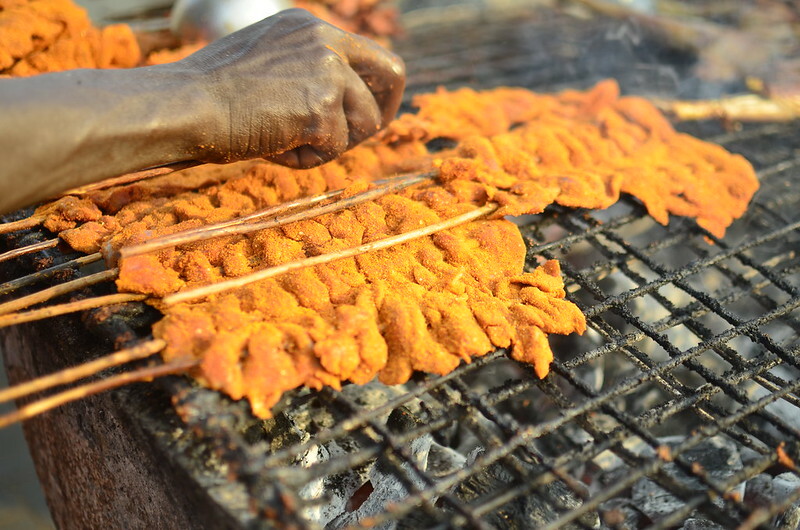 Friday evenings are perfect for suya. Perfect. 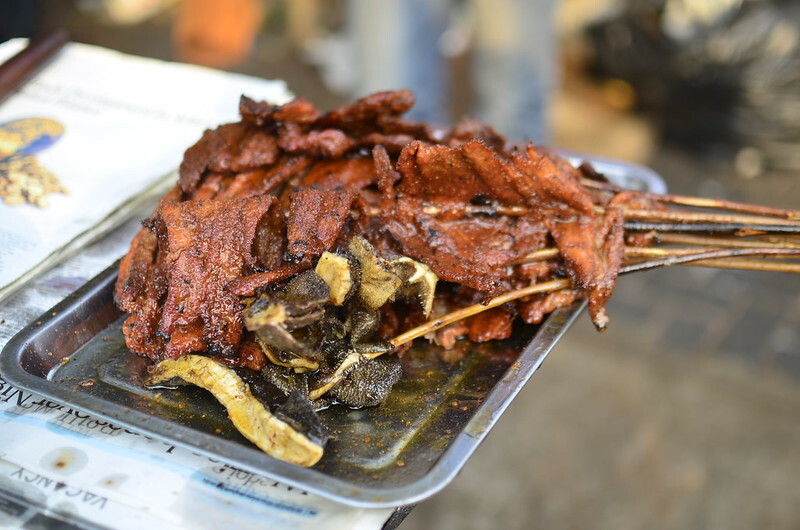 There’s the knowledge that suya could be dinner if purchased in the right quantity, and lunch the next day. There’s the knowledge that no alarm clocks are required to push you out of bed, that your debt of sleep can be helped over the next couple of days. 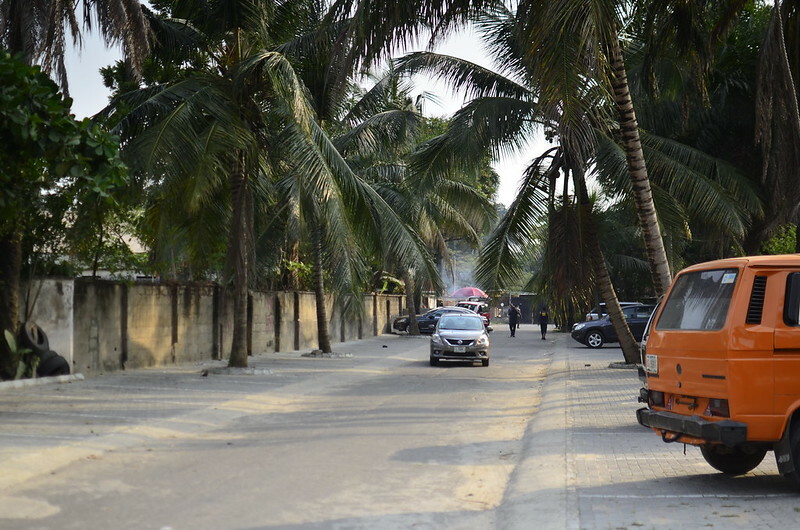 There’s a freedom, a carefreeness when you drive up a side road, lined with coconut palms and dedicated parking slots. The first thing to greet you though is the smoke. When you stand in front of the Mallam like countless others before you as he squirts water from a tear on a sachet of Pure water so the fire doesn’t ‘rise too high’, you are unsure of which way to move. The wind however doesn’t do your bidding. It blows the smoke in your face whichever way you turn. You’re not the only one standing. 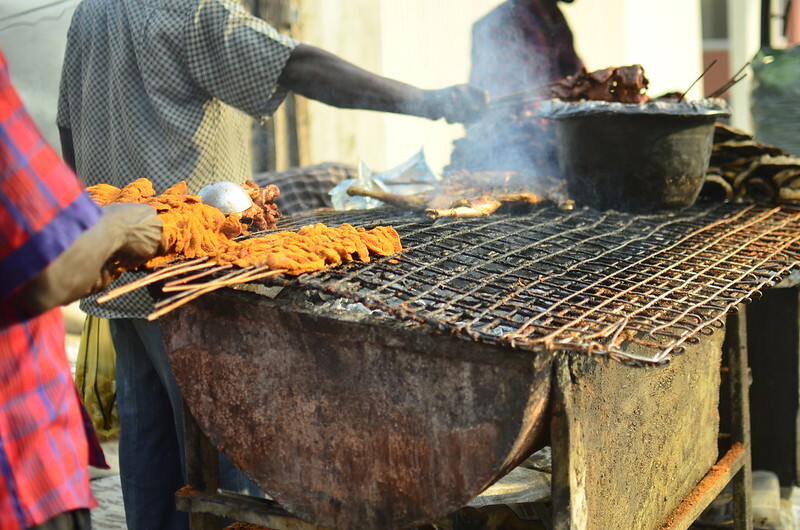 There is an army of suya men working and people – customers just like you, waiting. Someone’s handling the dredging of meat in yaji, the spice rub. There are the men manning the meat over the fire, those manning tables where the meat – beef, offal and tripe are sliced and diced. 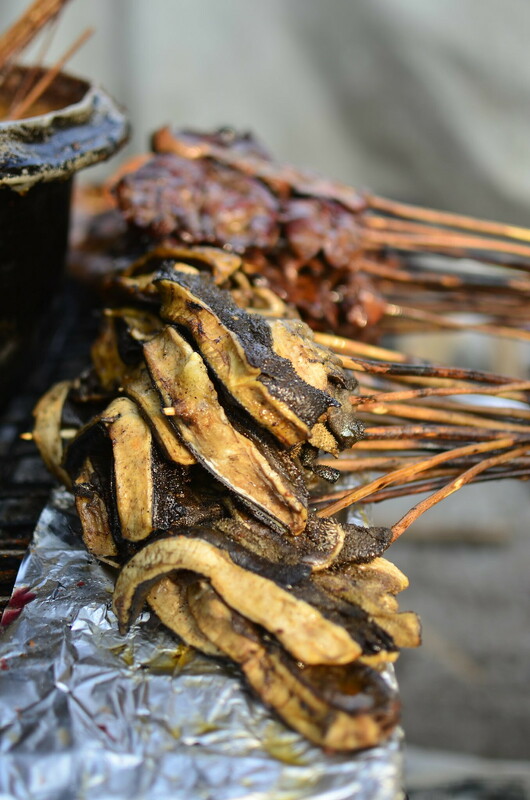 In Trinidad & Tobago, steel drums evolved into musical instruments; in Nigeria, steel drums are sometimes cut in half and filled with coal, iron grates over the top presenting the perfect evolution of cooking grilles for suya. Most cultures feature grilled meat on sticks, often as part of their street food, from Shish Kebabs which originated in Turkey and are now typical of Middle Eastern, Eastern Mediterranean and even South Asian cuisine to Shashlik, of Russian origin and quite popular at Christmas markets across Germany. I remember thinking on one freezing night in Cologne when temperatures skirted minus 13 degrees centigrade, how the names of many grilled skewers begin with S, from Nigerian Suya to South African Sosatie, Indonesian Saté, Greek Souvlaki, Spiedie rods from the state of New York and Shashlik. Historical evidence suggest that across Africa, suya and its compatriots originated from pastoral nomads – West African Fulani/ Hausas from Cameroun to Niger and parts of Sudan; and the North African Tuareg and Berbers. These groups travel with herds of likestock and often use the meat of selected animals for food and trade. It is thought that these were from a time when they sat around camp fires, cooking grilled meats, skewered on swords and daggers. 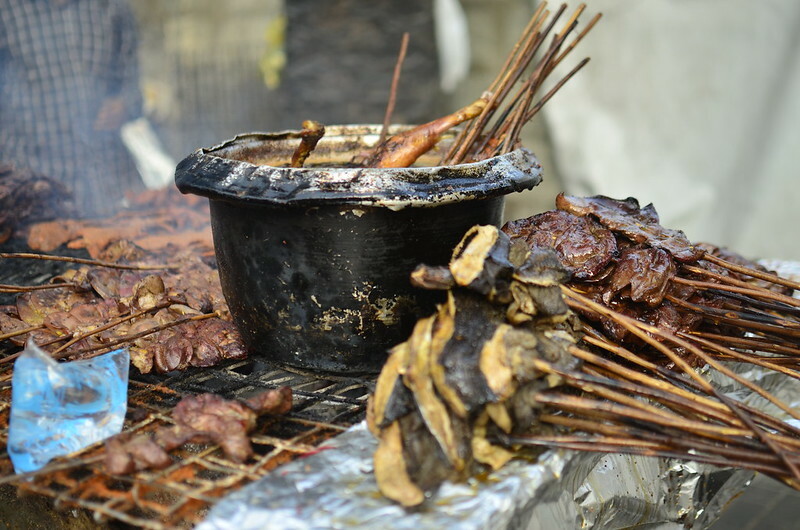 In Nigeria, the ‘suya men’ are called Mallams – men, skillful in the art and spice of meat preservation and preparation. I wonder if female Suya preparers exist for I’ve never met one. Have you? Anyway, thanks to the ‘wandering’ of these men, every nook and cranny in every Nigerian city boasts at least one correct ‘Suya spot’. And this is where I stand on a certain Friday evening. There is a lot of skill on display. I watch the men twist and turn sticks, then dip the orders in a vat of vegetable oil. This is news to me. Fried suya? Well, not so much as fried but ‘moistened’, the mallam explains. ‘To keep it soft and juicy’. I haven’t seen this before. 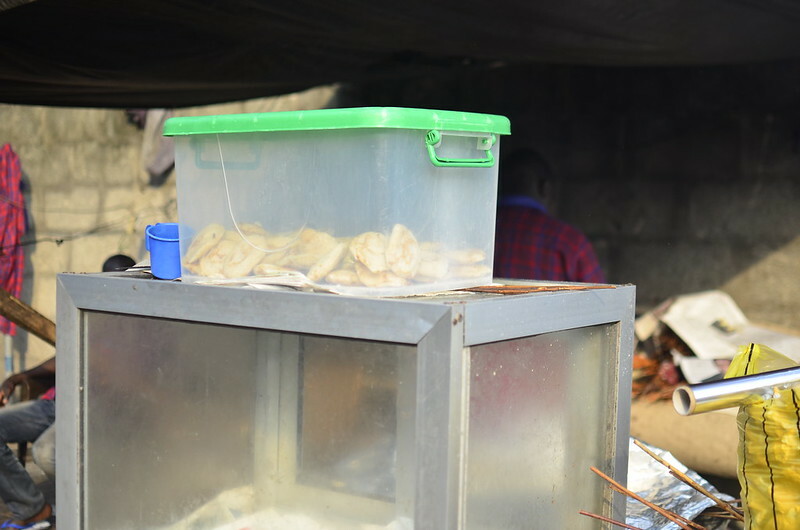 Where I bought suya in the past, a drizzle of oil was the norm. In some other places, main shanu – cow butter features. I hear it has a strong, rather peculiar taste (and is also great for hair???) but I have not an encounter made with the kind sir…so one cannot say. The knife skills are a wonder. When my order is ready, I watch in wonder. I never tire of looking at how the meat is cut…it’s all technique. 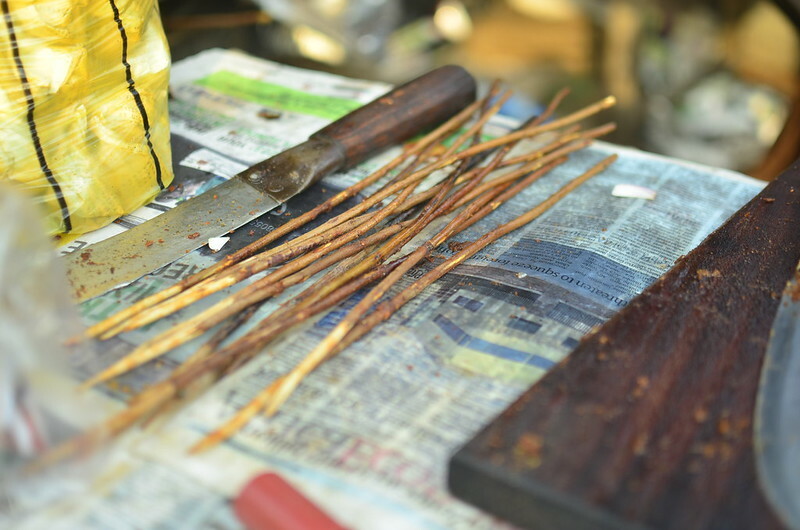 The men use a curved knife to slice the meat off the sticks. Each stick of meat has wings. Almost. How the meat is sliced for cooking and how it’s cut up for eating plays a huge role in the enjoyment so I watch keenly. The slice the meat into strips – first the sides are stripped off in two or three lengths, before what’s left on the sticks is pushed off and chopped a bit more. You eat a piece or two while he cuts the meat – being careful to say clearly you’re going to go for a piece for that knife is sharp enough to cut fingers. You have to taste the suya before it’s wrapped up. This is when I notice the desperation of the flies – flitting wildly, almost drunk on the smoke perhaps. And busy buzzing as flies do. Wrapping skills are the next sort on display. 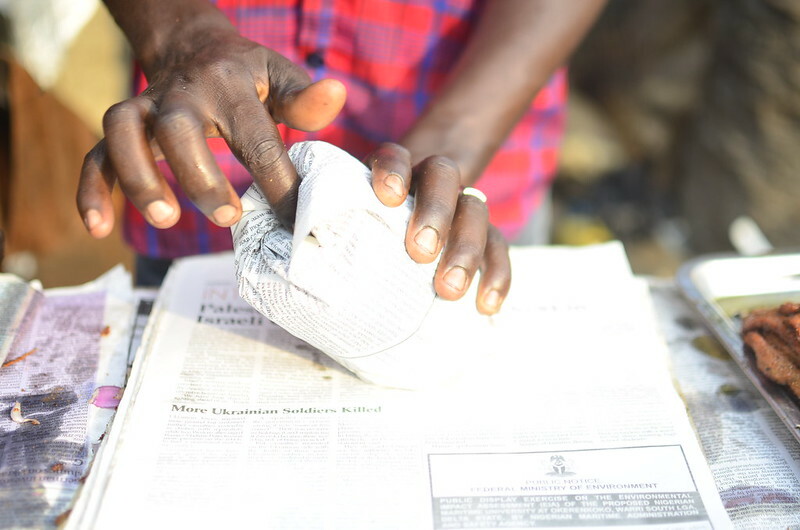 A piece of foil paper is cut off and placed on the stack of newspaper – from which sheets are torn off for use. . 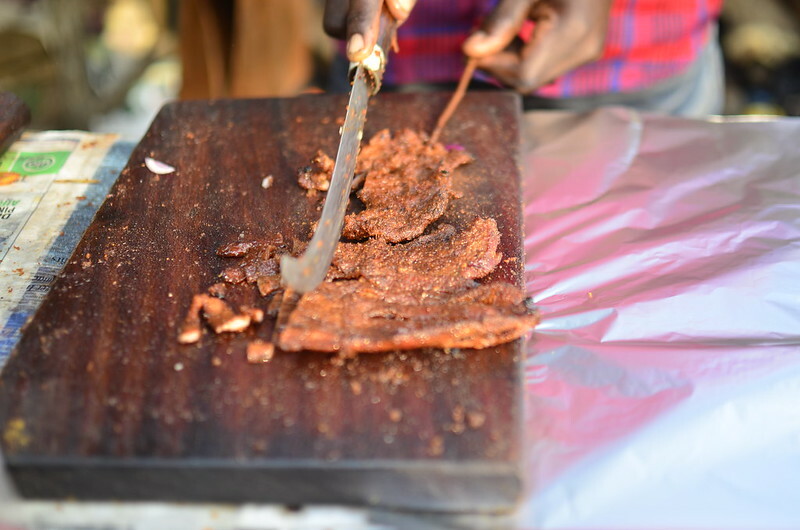 In no time, the suya parcel is wrapped up, almost like you would a tortilla wrap – bottom up, sides in, roll to finish and tuck edges in. That’s a bit of tortilla skill and here. There is the sweet melody of Hausa too ‘Baba. Ba na…In a so…nama…tozo. ..kazaa’ which accompany fingers like leather and hands blackened, now full of heat-resistant fingers. You can order some Masa too – a holey, chewy ‘pancake’ that looks like a British crumpet and tastes like a South Indian Appam. 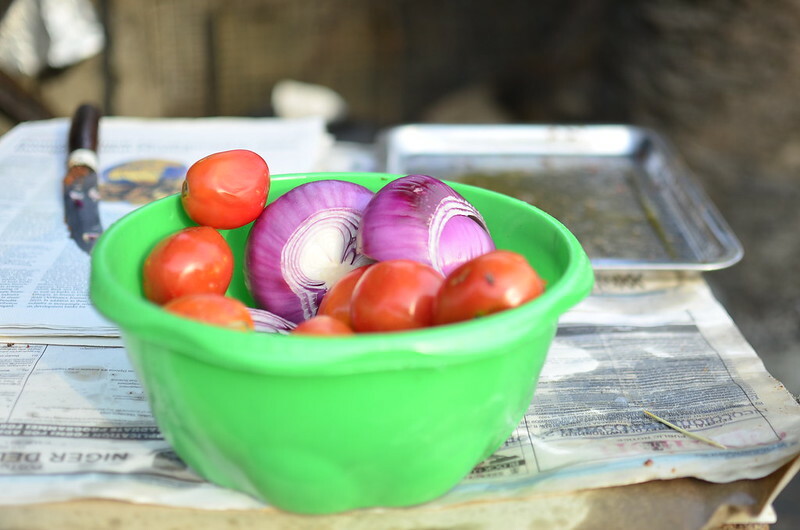 You can ask for any sides you want of fresh tomatoes, onions and pepper. I typically don’t. When I do, I ask that it be packed separately. And then it’s time to pay and you may be confused. Ha ha, don’t be. Mallam knows how much you owe him, just by counting the Tseka sticks. 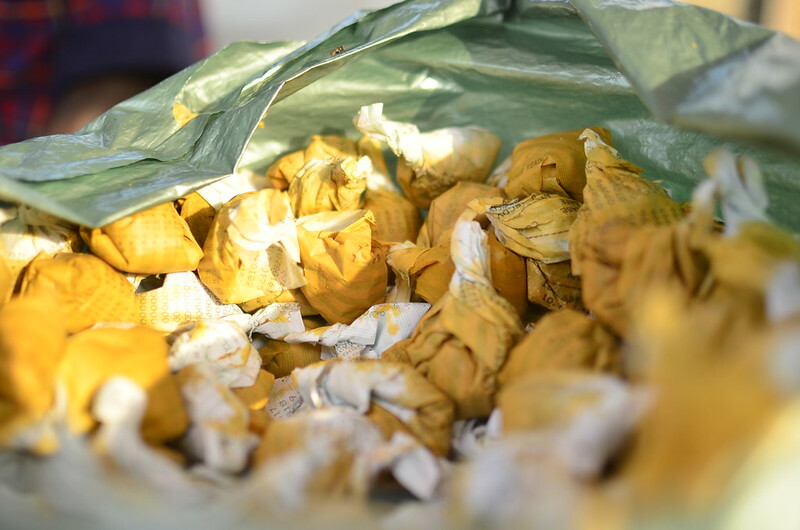 Extra wraps of yaji are available if you want. Time to go home. Time to eat some in the car – if you have drinking water to hand, careful not to put fingers in your eyes afterwards. Grateful if you have baby wipes and can wipe greased, spiced hands clean. Thankful it’s Friday. Thankful for suya. 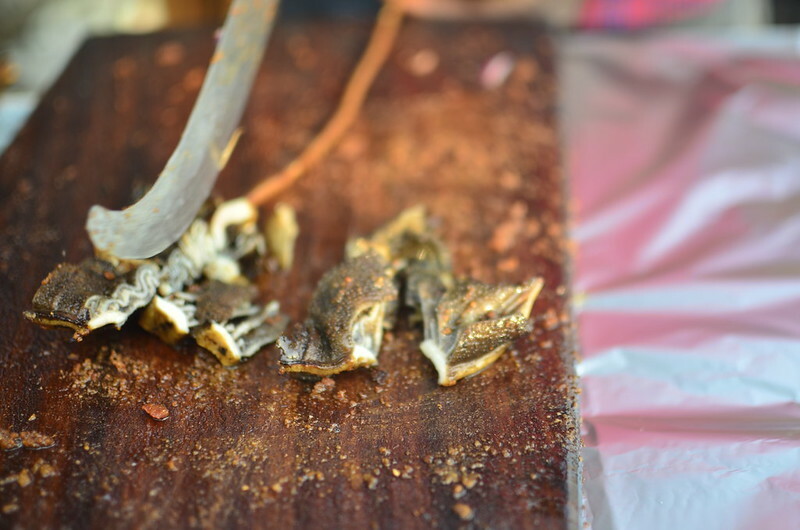 I’m still confused on whether or not I like this suya – a fact that I put down to the yaji – the spice used. I enjoy some cuts more than others, like the Tozo – fatty cut compared with the beef. Anyways, till I find a new suya spot to try, this is it. Any recommendations on Lagos Island? Share, please. Thank you.